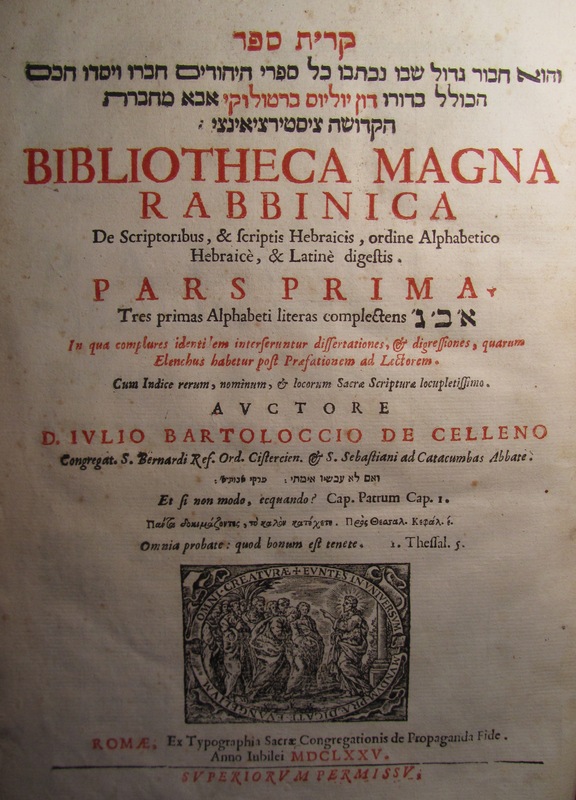 Today’s highlight is Leopold Zunz’s own copy of Bartolocci’s Bibliotheca Magna Rabbinica. The first edition four-volume set was published between 1675-1693 in Rome, ex Typographia Sacrae Congregationis de Propaganda Fide. The work is considered one of the first comprehensive non-critical Hebrew bibliographies and is one of the earliest products of Italian Christian Hebraism. Leopold Zunz used and quoted it extensively in his first critical scholarly works on Hebrew bibliography. Don Iulio Bartoloccio (Giulio Bartolocci), born in 1613 in Celleno, was a Cistercian monk and a student of a converted Jew – Giovanni Battista Jonah Galileo (formerly Judah Jonah of Safed). Bartolocci was appointed Professor of Hebrew and Rabbinics at the Collegium Neophytorum in Rome (1651), institution created to re-educate Jewish converts. He was also a Hebrew Scribe at the Vatican Library. We hold 3 volumes of the work as part of the Foyle-Montefiore Collection, formerly the library of Sir Moses Montefiore [shelfmark: Mont 63cd18]. 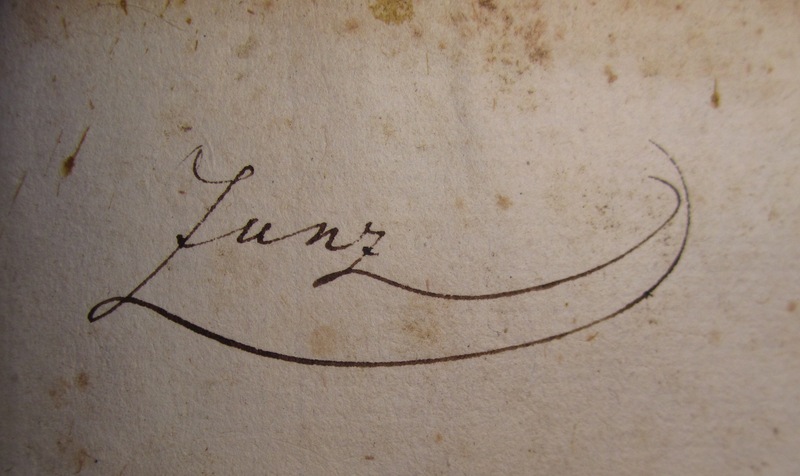 The Foyle-Montefiore Collection is abundant in works by other famous Christian Hebraists and bibliographers such as Johannes Buxtorf (1564-1629), Johann Leusden (1624-99), John Selden (1584-1654), John Lightfoot (1602-75), Giovanni Bernardo De’Rossi (1742-1831) and Moritz Steinschneider (1816-1907). 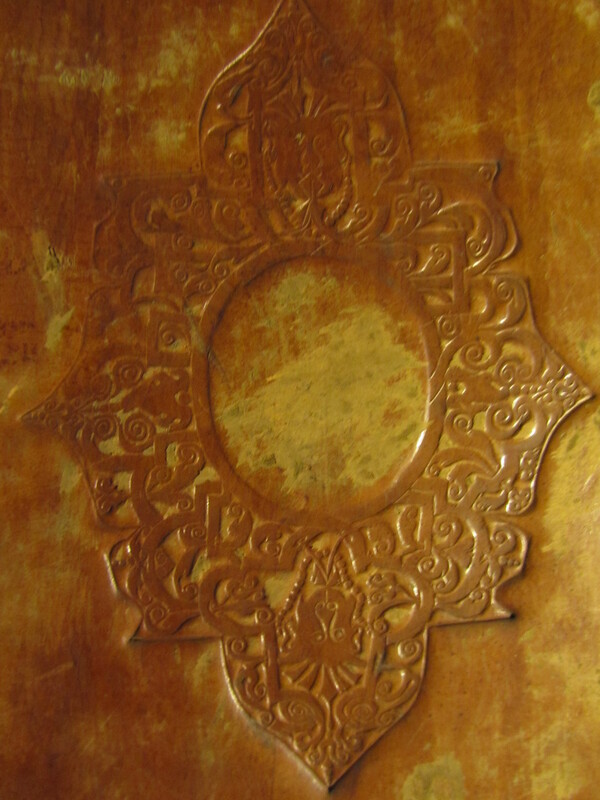 Front cover: tan calf, tooled in blind. This entry was posted in Christian Hebraism, Foyle-Montefiore Collection, Hebrew language, Highlights and tagged Christian Hebraism, Foyle-Montefiore Collection, Italy on 18 December 2013 by zeidlerm.